I love sweet potatoes. They are a great alternative to regular potatoes. My husband says that he doesn’t like them, but every time I make them he eats them and says well I like them this time! 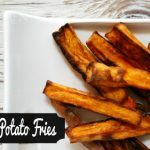 These Sweet Potato Fries are great! You can sweeten them up or make them salty depending on your liking. 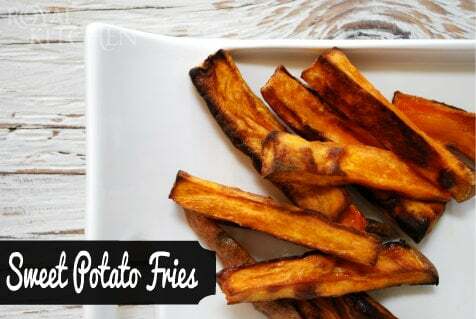 These yummy fries are baked and not fried but they still turn out crispy! Seasoned Salt Salt, Cinnamon and Sugar etc! Wash potatoes and peel them if you like. Cut them into thing slices about 1/4 inch thick. Place fries in a bowl and mix with the oil. Place on cookie sheet and sprinkle with topping. Bake for 10-15 minutes remove and flip and bake for another 10-15 minutes. You can eat them now or turn on the oven and let them sit in the oven to crisp up!